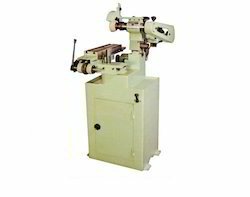 Sturdily constructed CTC Cutter Grinder Machine is highly demanded by our esteemed clients. this range is recommended by the clients for its accurate and precise performance. Also, our range is available in various technical specifications and formulations, thus caters efficient and excellence performance. We expertise lies in designing and developing high-efficient Edge Cutting and Grinding Machine. Integrated with advanced technology, these machines conform to the established stringent quality benchmarks. ~ Martin’s special purpose CTC Cutter Grinder Machine is specially designed for grinding CTC Milling Cutters. ~ Easy operational facilities-even semiskilled operators can work on this machine. »: Rugged box frame structure. »: Preloaded antifriction, cartridge type spindle for wheel head to run in either sense of rotation. »: Wheel spindle can accommodate grinding wheel/interchangeable arbors on both sides. »: Tilting of wheel head in both planes for more versatility. »: Dual control of table for easy operation. With the constant support of our expert team, we are engaged in offering a huge assortment of universal cutter grinder. Available at market leading prices, this universal cutter grinder is stringently quality tested on industry set quality parameters before approving for final delivery. 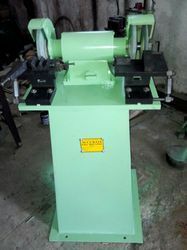 This high performing universal cutter grinder is manufactured from the best quality basic materials.